For me it is always a challenge, what to buy as a present for a new born baby? I prefer to buy practical, useful but stylish resents and it is not really so easy. 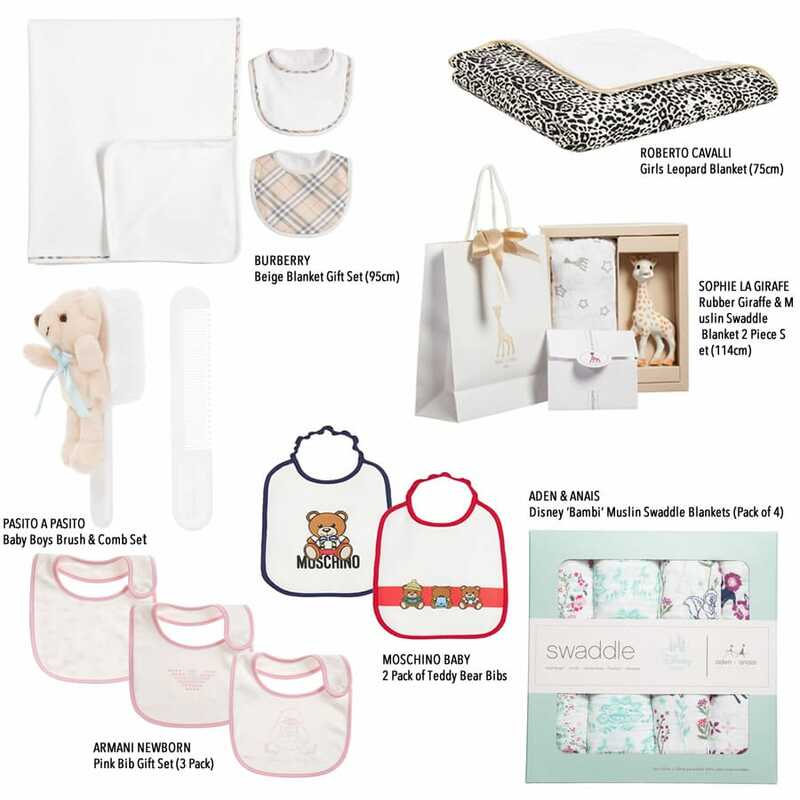 Here we propose you 7 nice accessories that we consider to be an essential part for every newborn baby life. – first of all we propose different kind of blankets, they can be used in completely different situations. For example Roberto Cavalli blanket, it is not very thin, so you can use it to warm the baby or to use it as soft mat so the baby can lie on it. Leopard prints make this Roberto Cavalli blanket fashionably look, soft cotton is very gentle even for baby skin and you can wash it in washing machine that makes this blanket safe for the baby. – another variant of blankets gift is Aden & Anais pack of 4 100% cotton blankets. These variant is more thin and “breathing” so you can use it to wrap you baby in summer days, for stroller cover and not to worry about baby overheating or lack of fresh air. – two more blankets variants come in sets, like Burberry blanket that comes with two bibs in neutral beige colours and classic Burberry check, so it will be a good present for both baby girl or baby boy. Or Sophie la Girafe set with soft blanket and Girafe rubber toy and all these come in box and gift bag. – one more great idea for baby present is a set of bibs. We propose you Armani pink and white set of 3 bibs (ideal for baby girl gift) made from soft cotton with Armani brand name prints. Or Moschino Baby set of 2 bibs in blue and red colours, good for both boys and girls, with nice teddy bear prints.